They are not your typical traveling hippies. In fact, some might point out that they had it all. 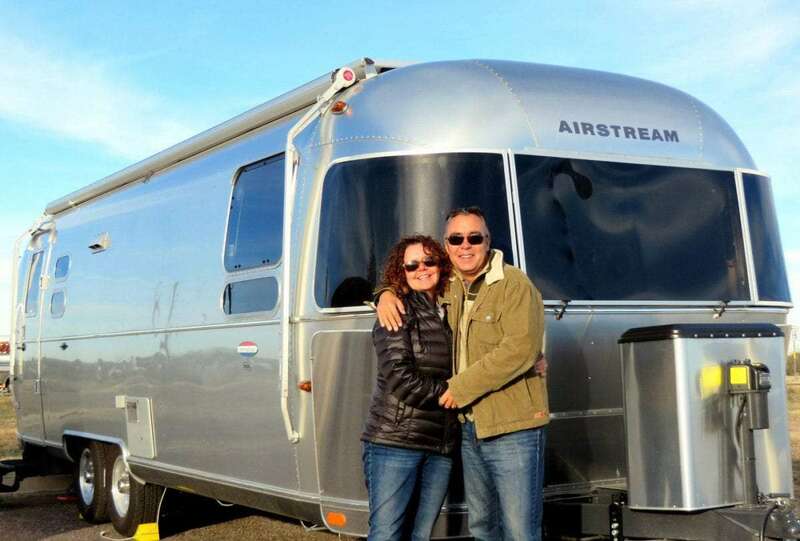 “My career was in biotech and healthcare marketing,” Kate writes from their beautiful new 27′ Airstream travel trailer. “I worked for companies in the US and Europe for 20 plus years climbing the career ladder and traveling a lot for work all over the world. I decided to make a change in 2012 and became a partner in an advertising agency.” The ad agency was also in the pharmaceutical and medical device industry. What most of us would think of as “big money”. There’s no one to manage and no politics. For Iain, the changes in the market during his career disillusioned him. He talks of how what was once all about the tech, the advancement, becoming just another stack of dollar signs for people to try and pile higher and higher. So while he doesn’t particularly love the implications of the designation “retiree”, he’s calling it retirement. For now. Kate doesn’t necessarily feel retired, but she has no plans to work for another company again. Neither strangers to travel nor RVing, the couple previously careened about in a 24′ Winnebago View. When it came to full-timing though, they switched to an Airstream. They both talk a bit about the ups and downs of both, that the Winnebago’s advantages were that it was easier to just pull into any parking lot, to find a spot to rest for a few minutes during travel, and how the Airstream and tow combo require more forethought. 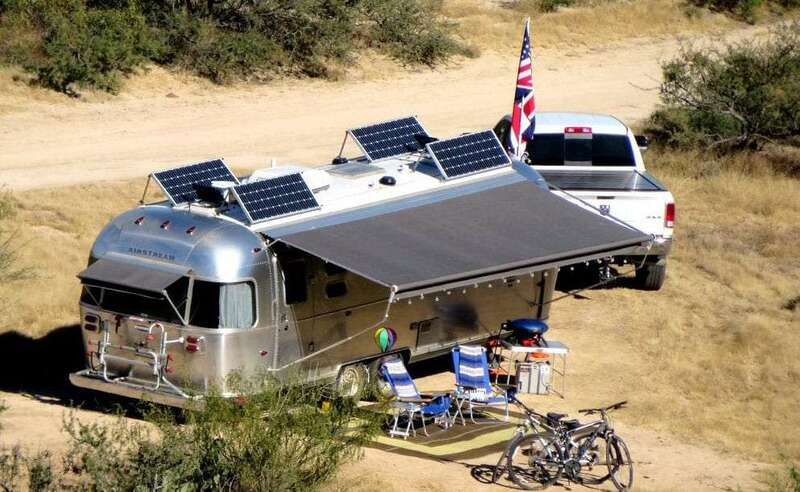 When it comes down to it though, Airstream seems to have been more of a desire than any need. Or as many Airstream owners know, they’re just cool. Some may take this information and try and place Kate and Iain into some type of category. Retiree RVers or the lucky rich who got to set off on some big vacation. But far from it, they’re embracing this traveling life with the full vigor that sometimes takes the roving lot years to figure out. A couple who has put their time in, long hours spending evenings working overtime and sitting on airplanes to achieve that piece of the American puzzling dream that’s called the perfect retirement. Except they didn’t choose to wait. They worked hard, saw an opportunity, and took it. For so many Americans, we spend far too much time achieving the dream and find ourselves at the end of a long road with a rocking chair ready for us to call home. Instead of rocking in a chair two decades from now, Kate and Iain decided to roll on down the road while their legs were still itchy to climb mountains, their souls still adventurous and the road still open to them. That’s not to say that they don’t get around, just that the realities of their lives and personal preferences indicate how fast they pick up and go. “We slowed down this winter to spend the time in good weather in the Southwest,” relates Kate, “But to be honest we got a little bored with it. Too much time in the desert for us. In the past couple of weeks they’ve managed to visit breathtaking mountains and lakes from Tahoe to the Tetons. Even perhaps before work lead them around the world, the two were bound by kismet in travel. “Neither of us were into the big wedding thing,” they both testify, thinking back to their wedding night in Malaysia. “We always say the most important detail of any wedding is not the color of the bridesmaids dresses, or the table decorations, it is marrying the right person. Twenty years ago in the UK,” the couples’ homeland, “the law was pretty restrictive about where you could get married.” Either a church or a government office. Kate doesn’t seem put off by the idea of not everyone making it to the wedding, of having to do it all two times. Now that they’ve had a lifetime of world travel experience, and have set out on their own full-time RV adventure, they’re trying to give back a little, too. If tomorrow never shows up, Kate and Iain seem to feel pretty good about what they’ve done today. 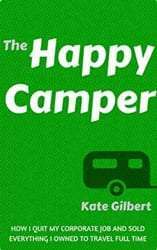 They also try and add value to those who follow along with their story by blogging about the lifestyle, their favorite campgrounds, and how passionate they’ve become about the freedom provided by this living on the road. They’re keeping the plans loose enough for now. “Too many to count,” they reply to the idea of a favorite place. They name numerous places along California’s coast. “Crystal Cove in Orange County provides multi-million dollar views for 35 bucks,” stands out in particular. They’ve set themselves up for living as wildly or conveniently as possible. But, as they extol on their blog, they love to watch a good slice of television. A solar setup helps them keep it all juiced. The Scenic Route’s setup. Photo by The Scenic Route. The revelation that changes your full-time traveling life. Iain didn’t necessarily feel like setting it all up himself, though, but found a way to offset some of the costs. Still, they enjoy finding places to stay which are convenient to…well, conveniences. Private RV parks in urban settings tend to relinquish you of your camper-given right to a little space and nature. 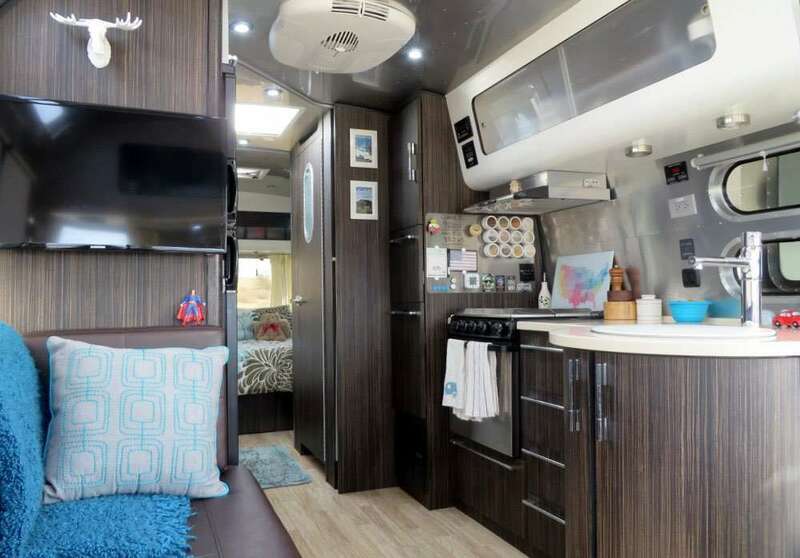 The inside of Kate and Iain’s 27′ Airstream. Photo by The Scenic Route. One thing they love to seek out is a good brewery. “Well we do like beer and travel so I guess we are beer travelers,” jokes Iain, perhaps uncertain as to whether the term applies to them or perhaps not fully aware there is even an actual category known as “beer traveler”. The couple plans to mix up their Airstream travels with hopping around the globe when it makes sense. Kate has just finished writing a book about how they quit their jobs, sold everything, and hit the road. Here’s a link to the Kindle edition if you’d like to do the same! They’ve also got the up-to-the-minute (or so) on their Instagram account. 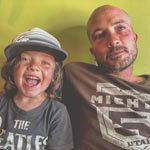 Or just jump on board and follow along for the ride at their blog, Tales from the Scenic Route.